Use pickup truck for work purposes; not a luxury ride. Bought this used truck in 2017 with 59,000 miles. Rear bumper was missing so I had dealer affix a brand new black chrome bumper. Vehicle has some rust spots (by gas tank & under tailgate. Replaced brakes that were covered by extended warranty. Like that I can transport small mowing equipment for my son's business. Dislike the setup for attaching bed cover (crawl into bed to attach clamps). A really good truck, I sure lucked out. It has been a great truck. Drives good and very good on gas. I have helped a lot of friends move out of one place and into another with this truck and it has never let me down. I have had this truck for going on 8 years and have only had minor problems with it. As long as I keep up with the oil changes and tune ups I'll have this truck for several more years. Definitely a good find. Bought my 2002 Dodge Dakota used and put plenty of money into replacing parts shortly after the purchase. I do enjoy driving it, however it has no extras like tilt steering or cruise control. Currently passed 200k miles and the transmission is starting to stick some. It's still fun to drive but needs a little tlc. I would love to replace it if I could afford to. 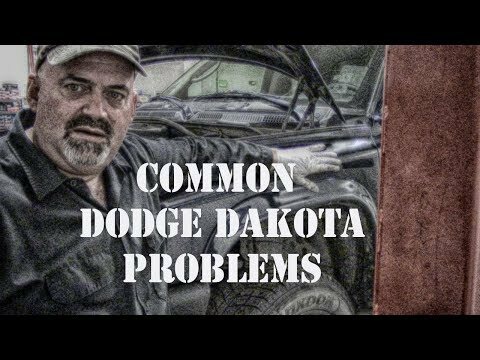 Dodge Dakota Review - MY TRUCK!